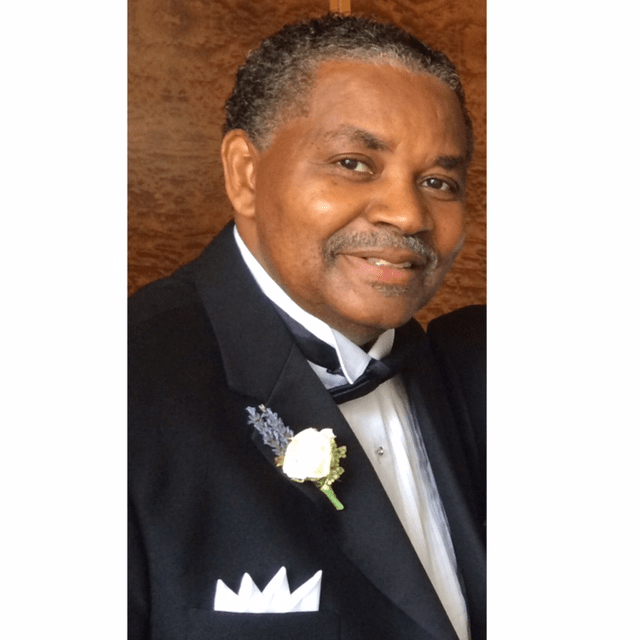 James Earl Grant, 69, transitioned from his earthly home to his heavenly home Wednesday, February 1, 2017. He was born May 12, 1947 to the late Samuel and Helen Magee-Grant in Jackson, Miss. He retired from the USPS in January, 2013 after 42 years of employment. A Marine veteran of Vietnam, he was a language translator while stationed in Danang, reaching the rank of Sergeant before leaving with an honorable discharge. James was ordained as a deacon in 2000 at Greater Enoch Grove Baptist Church where he served as superintendent of Sunday school and as a member of the Brotherhood. He loved fishing, swimming and spending vacations on the beach and camping with his family. James’ legacy will continue through his devoted and loving wife Dixie of 36 years, five children Monique and Jason of Jackson, Miss. ; Jennifer of Metairie, La. ; Christopher (Lauren) New York, N.Y.; Brittany of Hattiesburg, Miss. ; six grandchildren, Domonique, Damien, Dylan, Devin, Jaleel and Kinvette; step-mother, Lenora Grant of Jackson, Miss. ; sisters, Annie Ruth Smith (Samuel) of Raleigh, N.C.; Phyllis Grant-Bowman, Charlottesville, Va.; Janice Pierce (Teffany), of Atlanta, Ga.; sister-in-law, Cassandra Grant (Ralph-Deceased), Jackson, Miss. ; step-sister, Sandra Hayes (Melvin) Stockbridge, Ga.; three brothers, Harold (Joyce) of Byram, Miss. ; Larry (Faye) of Jackson and Dennis (Mae) Terry, Miss. ; mother-in-law Lillie Hampton; sister-in-laws, Judy Moore (Eddie Jr.) Braxton, Miss. ; Paula Johnson (Tony) Jackson, Miss. ; Cindy Hampton, Atlanta Ga.; brothers-in-law, Rickey Hampton, Braxton, Miss. and Bruce Hampton (Angelene) Florence, Miss. Aunts, Lea Bryant, Emily Wilson, Aleen Lillis (Archie) Waterloo, Ia. ; uncles, William (Everlee) Magee, Waterloo, Ia. ; George (Lottie), Andrew (Willie), and Marvin (Bulah) Grant, Flint, Mich.; special cousins who grew up with James, Johnnie (Betty), Huntersville, N.C. and Joseph (Joann) Uniondale, N.Y.; many nieces, nephews, cousins, friends and a loving church family. James was predeceased by his parents and brothers Samuel Anthony and Ralph Edward. Deacon James Earl Grant has fought a good fight, he has finished his course, and he has kept the faith. The family wishes to thank Camellia Home Health & Hospice (Tammy, Michael,Loretta, Stan and Amber); Baptist Medical Center (Dr. Murphy Martin, Dr. John Adams, Dr. Justin Baker-His Angel, Dr. Rosalind Hammond, Dr. Nathan Maples, Dr. Robert Magee); St. Dominic’s Hospital (Dr. Michael Morgan); and Select Specialty Hospital (Dr. Thomas Largarde, nurses, aides and Ms. Josephine). Family hour was held Tuesday, February 7, 2017 at 6:30 p.m. at Greater Enoch Grove M.B. Church in Florence, Miss. Funeral services were held at 11 a.m. Wednesday, February 8, 2017, at Jerusalem M.B. Church in Brandon, Miss. In lieu of flowers, the family asked that donations be sent to Greater Enoch Grove Youth Ministry or to the American Cancer Society in honor of James E. Grant.